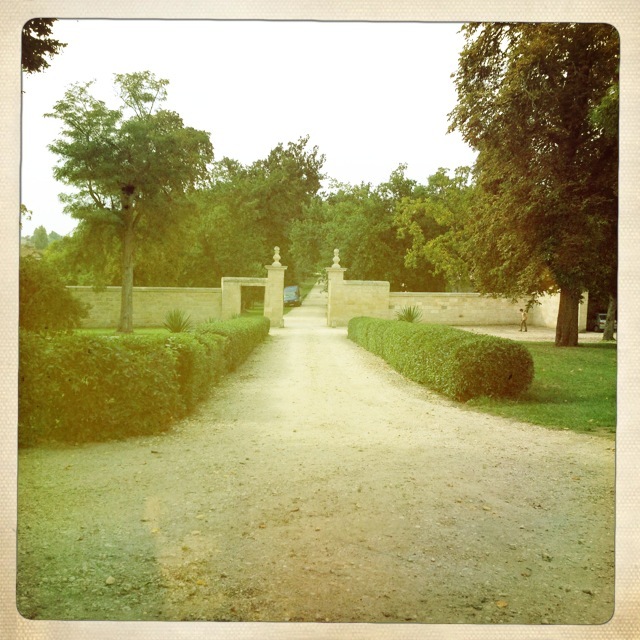 After rushing so much through the day, when we arrived at Chateau Figeac, everything seemed to slow down just perfectly. Their picking was done for the day, things were very calm and the Chateau was almost glowing in the late afternoon sun. According to Chateau Figeac history, the estate dates back to the 2nd century AD and the Figeacus family, who gave the estate its name. In the 15th century, Ch. 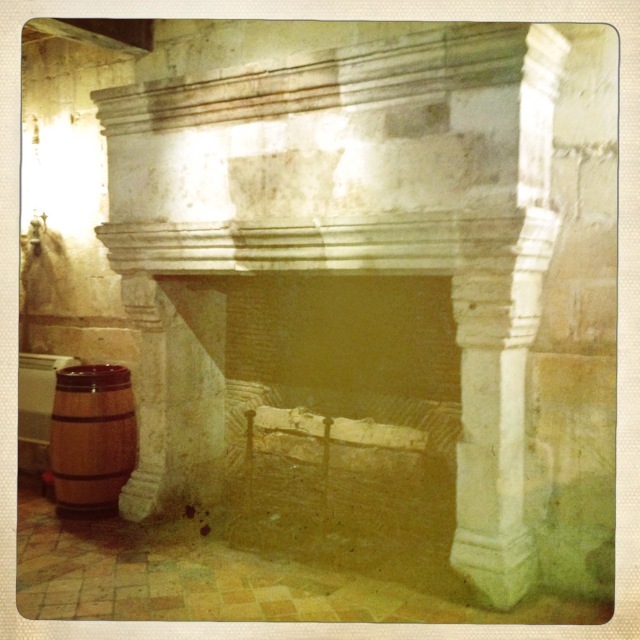 Figeac was one of five noble houses in Saint-Emilion and passed from the Lescours family, who at that time also owned Ausone, into the hands of the Cazes (or Decazes) family, who transmitted it through marriage to the Carles in the 17th century. There were many improvements made on the property during these owners. When an economic crisis struck as a result of the Continental Blockade, the Countess de Carles-Trajet sold some of Ch. Figeauc’s land. Parts of this land included Cheval Blanc, which was ceded in 1832. 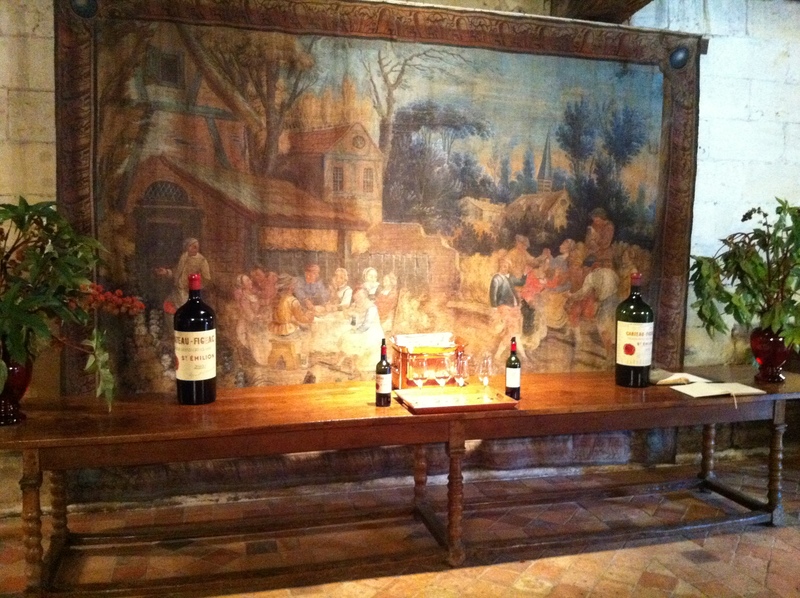 Chateau Figeac and its 130 hectares (321 acres) were then sold in 1838. Ch. Figeac went through a period of 50 years having 7 different owners. In 1892 that the Manaoncourt family acquired the core of the property, and they have worked hard to shape the unique character of Chateau Figeac ever since. In 1955, Ch. Figeac became a classified first growth. Before we officially began our tour one of the members of the Manoncourt family came over to say hello – she was very warm and gracious, and you could tell – very involved. The driveway at Ch. Figeac. Gwen, our fun and informative guide, told us about the land and the grapes on the property. The property of Chateau Figeac sits upon three very large gravel mounds. The grapes used in the wine blend are 35% Cabernet Sauvignon, 35% Cabernet Franc and 30% Merlot. It is this unusual grape blend and the gravel that defines the “Chateau Figeac style.” Ch. 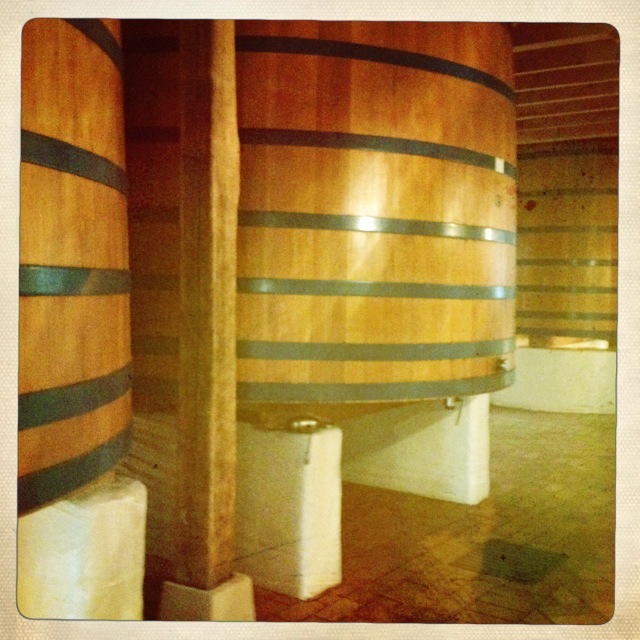 Figeac uses both traditional large wood vats and stainless steel vats. The wine of Chateau Figeac is aged in 100% new French oak barrels, sourced from 8 different coopers. 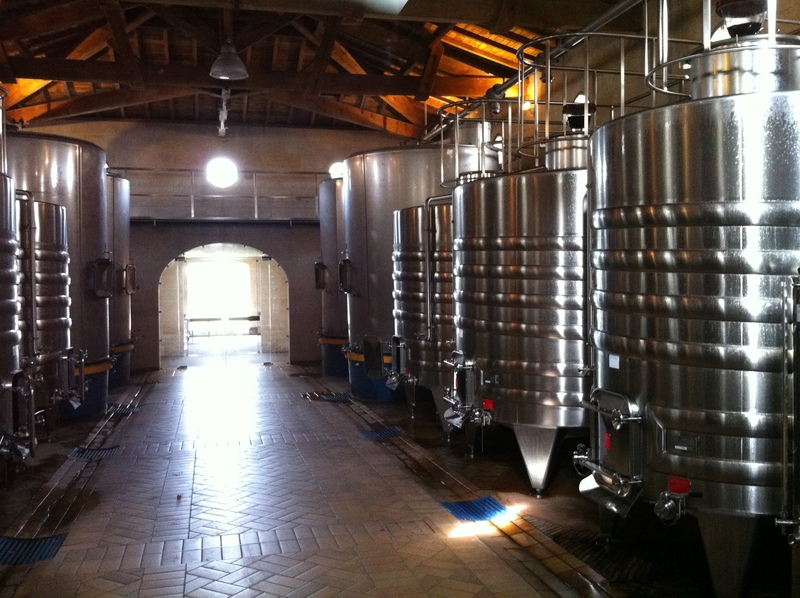 In 2012, the Manoncourt family hired Michel Rolland as a consulting oenologist. An old press. 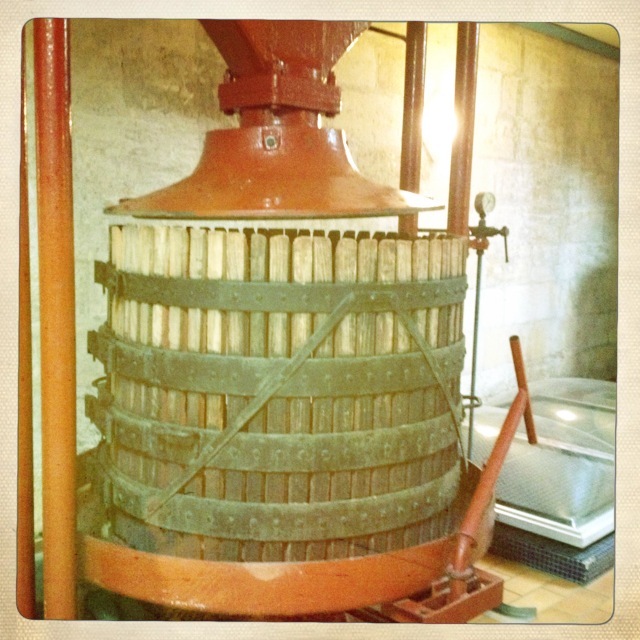 Some wineries keep some of the older, still working technology around – just in case. 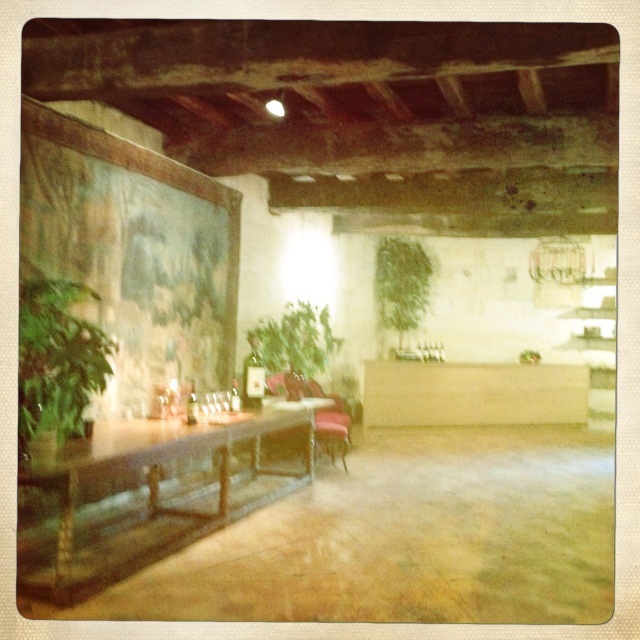 The tasting room was warm and rustic – a departure from many of the more formal chateaux we visited. The Ch. Figeac tasting room. Love all the wooden beams in the ceiling. A closer look at the tapestry in the tasting room. 2003 La Fleur Pourret – Very nice red and black fruit and a smooth mouth feel, good acidity with ripe tannins and medium bodied. Nice medium length sweet fruit finish. This is a little simple, but a nice drinking wine. 2007 Chateau Figeac – Red and black fruit with a hint of green bell pepper and spice in the nose. In the mouth, spicy red and black fruit with some good acidity, nice smooth mouth feel and medium-full bodied. Fine tannins on the long spicy fruit filled finish. This is a noticeable step up from previous wine. The wine is bigger and more lush than I expected for a 2007 vintage wine. In hindsight, knowing that the 2007 vintage wasn’t all that wonderful, I have to say, Chateau Figeac did a very nice job with their 2007. It was definitely a wine that made us pause and reflect on its complexity. The wines from the 2007 vintage are going to drink sooner than the surrounding vintages. The 2007 Figeac is drinking really well for being so young, I will definitely have to try some of the other vintages from this Chateau. 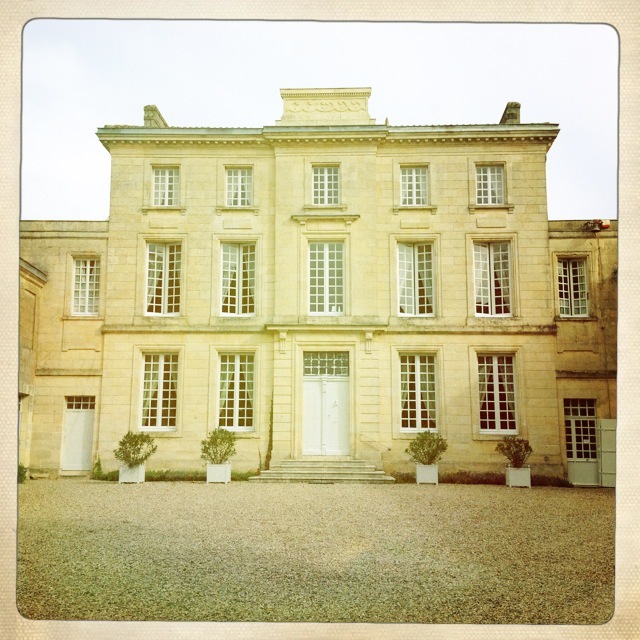 We very much enjoyed our visit to this estate – it was great to discover some new wines and meet some wonderful people.